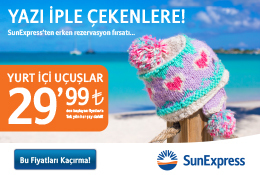 Antalya is a city full of sunshine and opportunity, a place where work and leisure go hand in hand. As well as being the main holiday destination on the Turkish Riviera, it is also a sought-after congress centre with a capacity to accommodate more than 50 000 delegates. For those on the look out for a unique convention and incentives destination, Antalya has it all. We are confident that all your requirements and more can be satisfied here. There are not many places that can boast both extreme good value for money and high standards of accommodation and service, a warm, sunny climate and an exhaustive range of leisure facilities. We can offer you all the above as well as friendly, welcoming locals, delicious food, excellent shopping opportunities and a rich culture and fascinating history waiting to be explored. I would like to express my warm greetings, "Merhaba" from one of the most authentic corners of Anatolia, Antalya. As President of Antalya Chamber of Commerce and Industry (ACCI), and Antalya Convention Bureau (ACB), I have written many introductions and letters of invitation, but certainly one of the most significant is for the Antalya Meeting Planners Guide. The reason for this lies deep in the history of our city. In the ancient world Antalya and its environs were home to countless civilizations and cultures. Because of this, the region was named as Pamphylia, " the land of all people, the place where cultures meet". For thousands of years, throughout philosophy was of great importance for Antalya and its surroundings and the tradition continue even today with its activity in the tourism sector. Antalya, which hosts millions of tourists every year, both Turkish and international, has became one of the most prominent touristic regions in the Mediterranean. Antalya certainly deserves the recognition of tourism industry with its hundreds kilometers of coastline, a constant year round favorable climate, with its historical heritage, remarkable cultural and arts festivals which have international fame.